2016 block and stucco home with too many extras to list. Including an hidden pantry, an 11 by 16 master bath which has an 11 by 4 double walk in shower and tub. The kitchen has solid birch cabinets with 42 inch upper cabinets. All the counter tops are granite. It features a large open great room, a great location for entertaining. 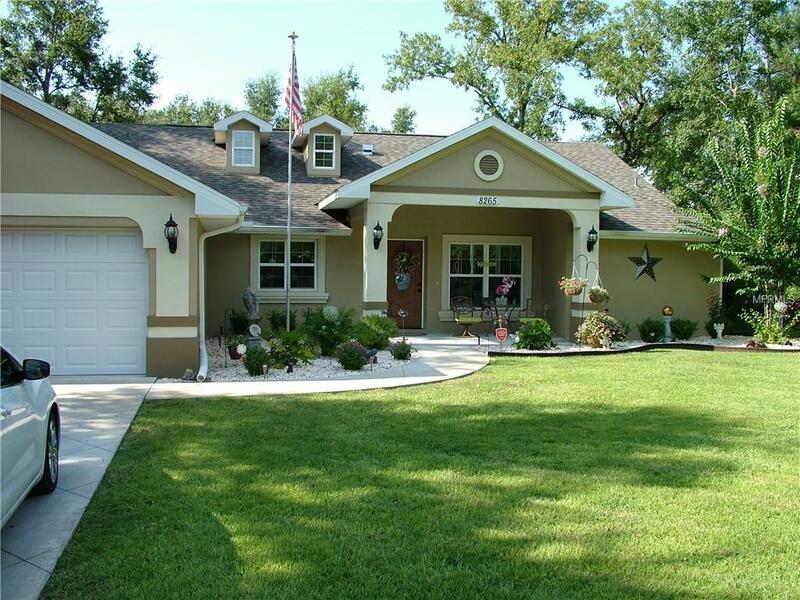 This home is just a short distance for The Villages with out HOA fees. It is situated on a short dead end quiet street. It has a fenced in back yard and has a pasture next door. It also has a 10 by 16 shed and a fire pit. This is a must see home.